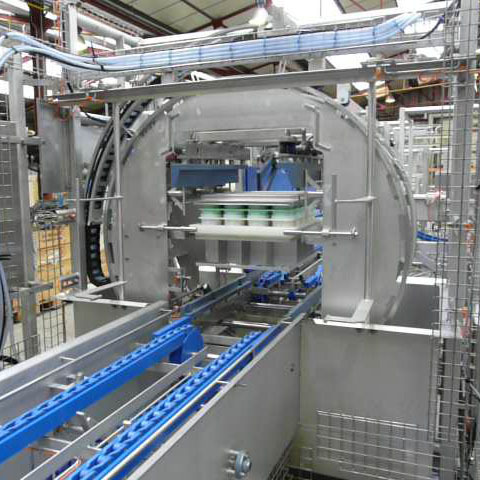 Tecnal is the specialist in mini vat lines applied to soft lactic cheeses production such as Saint-Marcellin, Epoisses, etc. Tecnal proposes its stainless steel mini vat line scalable to your production needs. 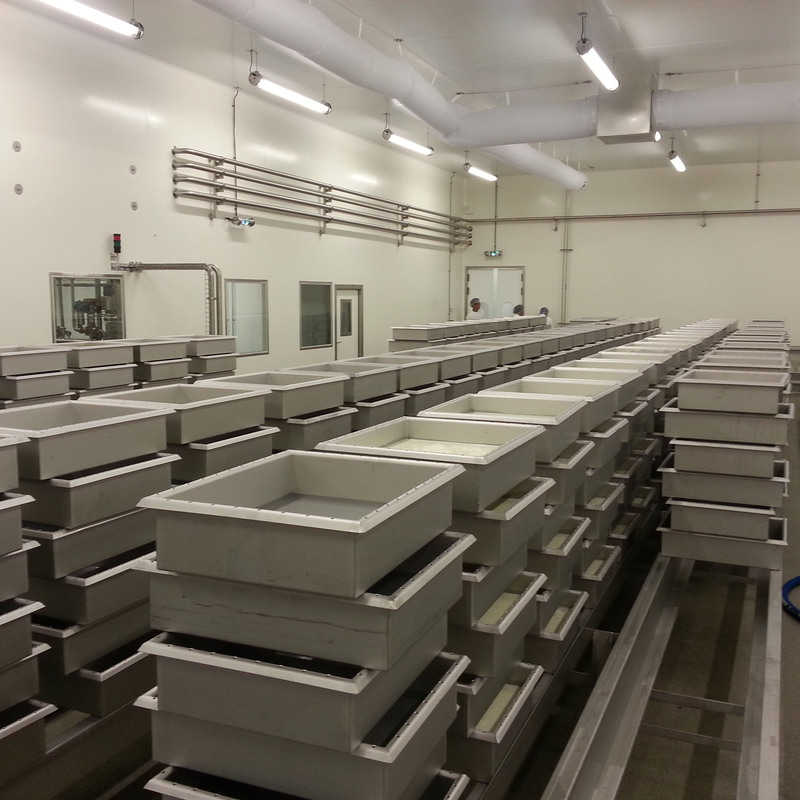 Vats, 20 to 50L capacity, are stacked by 10 to 12 on coagulation conveyors. Pouring of matured milk can be managed semi-automatically; each vat manual renneting happens at milk filling time. Coagulation is then started up for approximately 16 hours. Very high flexibility : you can proceed different products and cheese-making technologies without losing too much time, and also easily manage short runs. You can transform the quantity of milk you want while monitoring and improving precision of each cheese-making parameter. 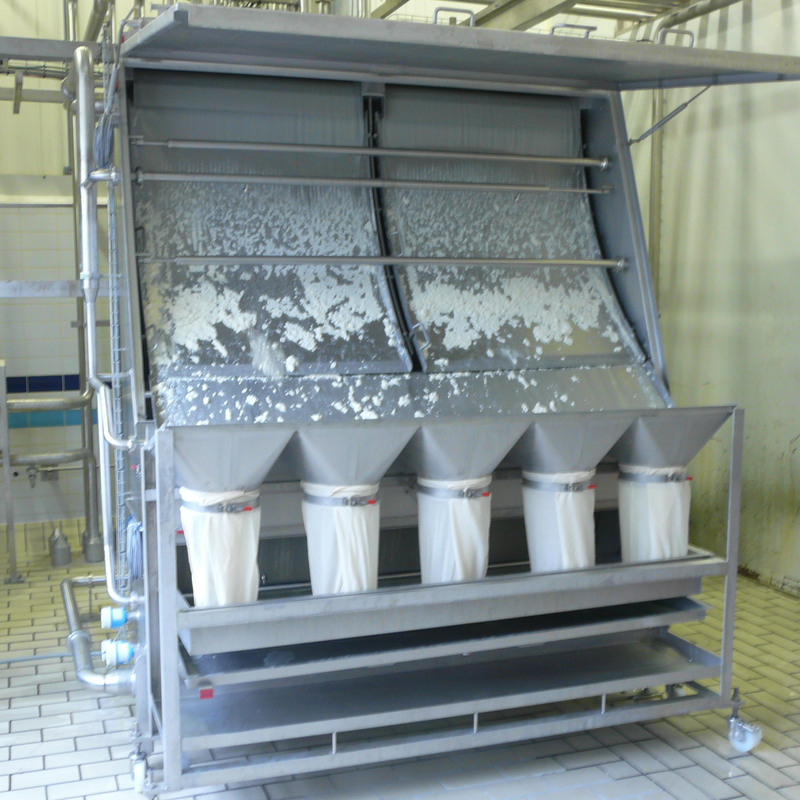 Very high regularity of production : achievement quality of our vats, whether or not associated with our cutting before moulding system, guarantees regularity of your grains of curd. Fines creation as well as fat and protein losses are extremely limited. Very good hygiene : the design of stainless steel mini vat lines by Tecnal's engineering department optimizes the daily washing operations. Our solutions enable you to work in optimal conditions of hygiene and comply with international standards (IFS, BRC, etc.). Several options are available to improve whey removal, fines recovery, your standard deviations, and moulding machines cleaning.